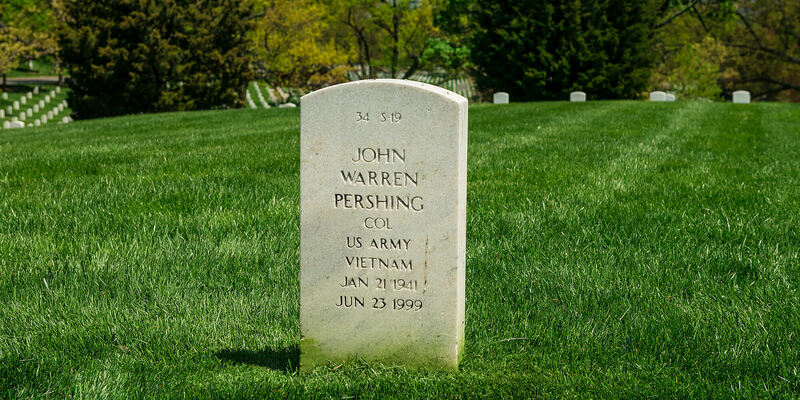 What’s the Best Way to Experience Arlington National Cemetery? Of all the bold monuments, granite effigies and polished marble you’ll find in Washington DC, none of it, with maybe the exception of the various war memorials, can coax the level of emotion as Arlington National Cemetery. The sight of a virtually endless stream of headstones spread about massive 600-manicured acres is a very real testament to the cost of war and a reminder of those that valiantly fought them. Everything about this place resonates with gravitas the same way the Parthenon or Michelangelo’s David does. You know immediately that you are in the midst of a very sacred place, not just to the United States but for the families of those interred here. There isn’t an inch of property that has been overlooked. From the elegant and spacious Welcome Center to the austere Memorial Amphitheater and all of the tombs of the fallen be they well-known or not, Arlington National Cemetery is a place where lives are remembered with a reverence often reserved strictly for kings and queens. Appropriate then that a country who repudiated the monarchical form of government would treat the average citizen warrior with the same level of respect. This is, without a doubt, a must-see memorial of epic proportions and there are a couple of ways that you can choose to go about it. For those looking to maximize their time in the Nation’s Capitol and don’t want to deal with the restrictions of a walking tour, a ride on Arlington National Cemetery Tours is essential. As the official and only tour operator authorized to give guided tours of the cemetery grounds, your tour runs on a continuous loop for up to an hour and makes between 7 and 10 stops, depending on the day of the week you visit. The gravesite of fallen U.S. President John Fitzgerald Kennedy is easily one of the most visited places in all of Arlington National Cemetery. Initially interred in a different part of the cemetery in 1963, a permanent resting place was constructed for him in 1967 that allowed much better access to the millions of visitors that would pay their respects in the years to come. The stone slab that radiates a flame that lies alongside the grave marker, commonly known as the Eternal Flame, was the idea of his wife and First Lady, Jacqueline Kennedy. She was inspired, in part, by the musical “Camelot” which was the president’s favorite musical and later became synonymous with his administration. On a hill near the southern edge of the cemetery, you’ll find the U.S. Coast Guard Memorial. Made of marble fashioned into a pyramid, this memorial pays tribute to and contains the names of all who perished in two separate events during the First World War; the sinking of both the Seneca and the Coast Guard Cutter Tampa. General of The Armies. A title so grand, only one person has ever been graced with that rank in their lifetime and his name was General John J. Pershing. Pershing (1860-1948) commanded the American Expeditionary Force (AEF) in Europe during World War I and he served in several wars that played out at the end of the 19th century. He was a man of an iron will, fierce and disciplined who was buried, without fanfare, near the soldiers he commanded in Europe. For a full, comprehensive tour of one of the most revered places in the United States, you can trust Arlington National Cemetery Tours. Should you decide to forgo a trolley tour and opt for a walking tour, be prepared to be on your feet for a considerable amount of time as many walking tours can exceed the three-hour mark and cover roughly two miles. Another thing to consider before choosing between the tours, is your means of transportation to get there. For walking tours, you have the following three options: You can take the Metro to the Arlington Cemetery station, grab a bus or you can park your car at the cemetery parking lot where you are charged a modest hourly rate. However you intend on exploring Arlington National Cemetery, it is recommended that you not go it alone. If you’re in DC for a short time frame, there’s a good chance you’ll get bogged down trying to go to the most important gravestones or memorials and not only miss out on some key places but the rest of your DC sightseeing could suffer as well as your day quickly comes to an end. Having guides in a tourist-heavy, compressed city like this is invaluable to ensure you get the most out of your time. Check out what our guests are saying about Arlington National Cemetery Tours! Copyright © 2014-Historic Tours of America, Inc. ® All Rights Reserved.